Do You Need A Concealed Carry Permit For A Backup Gun While Hunting? Do You Need A Permit For A Backup Gun In The Backcountry? Concealed carry just about everywhere else is one thing, but what about carrying a backup gun in the backcountry? 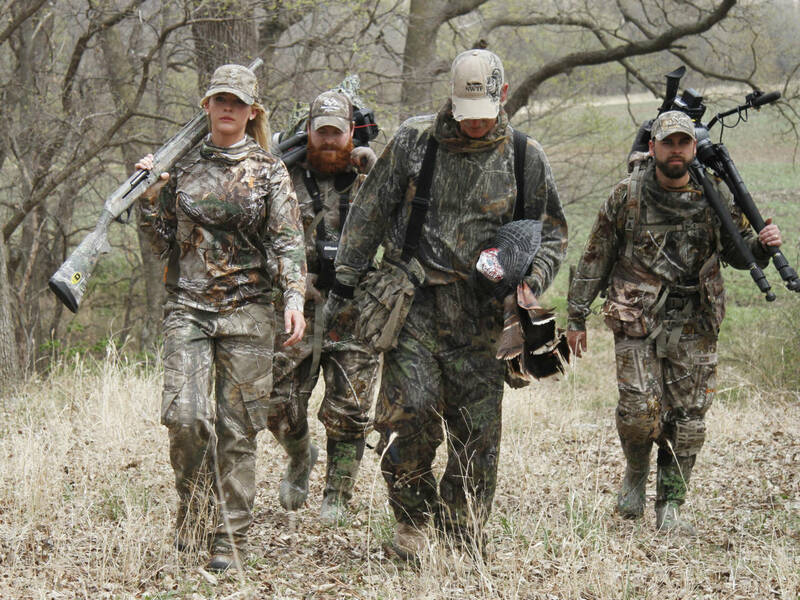 Does one need a concealed carry permit if carrying a handgun while hunting? You see, it depends on the state you live in. The law varies, of course, but a good deal of states actually don't require a permit while carrying outdoors. However, there are some that do, so it's going to behoove you to find out which is the case where you live or plan to hunt, hike, fish or otherwise engage in outdoor activities. Most states don't require a permit to conceal and carry in...let's say unpopulated areas...as many states allow permitless carry while engaged in "outdoor activities" or something to that effect. As a result, you may not need a permit to carry a backup gun while hunting. The verbiage may change, but the spirit of the law is common enough that essentially it means the same thing or at least something like it. For instance, Washington state RCW 9.41.060 states that a person is exempt from needing a license if "engaging in a lawful outdoor recreational activity such as hunting, fishing, camping, hiking or horseback riding if...it is reasonable to conclude that person is participating in lawful outdoor activities or is traveling to or from a legitimate outdoor recreation area." Texas likewise foregoes the requirement to have a permit to conceal a pistol if a person "is engaging in lawful hunting, fishing, or other sporting activity on the immediate premises where the activity is conducted, or is en route between the premises and the actor's residence, motor vehicle, or watercraft, if the weapon is a type commonly used in the activity," as per Title 10, Section 46.15 of the Texas Penal Code. But this must be only the gun-friendly states, you might think. Surely gun-control havens such as California must restrict carry even when outdoors. California likewise allows for permitless carry while engaged in outdoor activities. Point being that in a good number of states, you need a permit in town but once you're in the country - and engaged in a lawful outdoor activity - it becomes more akin to constitutional carry. That all aside, time to start splitting hairs - and the first order of business is open carry vs concealed carry. Again, this depends on what state you're in or will be in, but some states don't allow for permitless concealed carry in the great outdoors, but DO allow for permitless open carry if you intend to have a backup handgun whilst afield. For instance, Oklahoma Title 21 § 1289.6 states that open carry is permitted without a license if "when hunting animals or fowl." Thus, if hunting in Oklahoma, you need a permit if carrying concealed, but not if you're wearing it openly and for all to see. 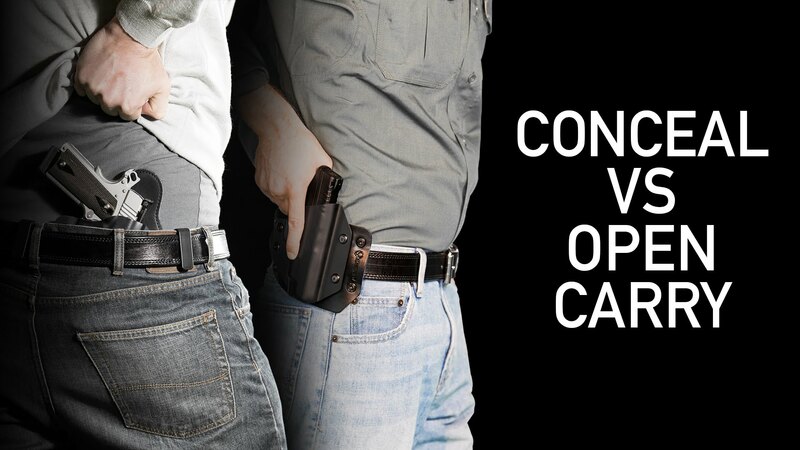 Granted, this brings up a relevant aside: do you conceal while in the woods or open carry? It's actually a good thing to ponder. 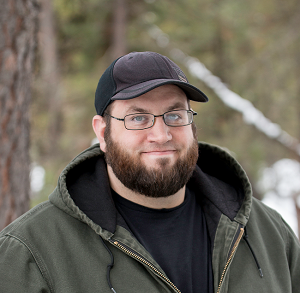 A lot of people carry a handgun in the backcountry as a measure of protection. Any critters with ill intentions - whether they have two legs or four - will just have to ask themselves if they feel lucky. 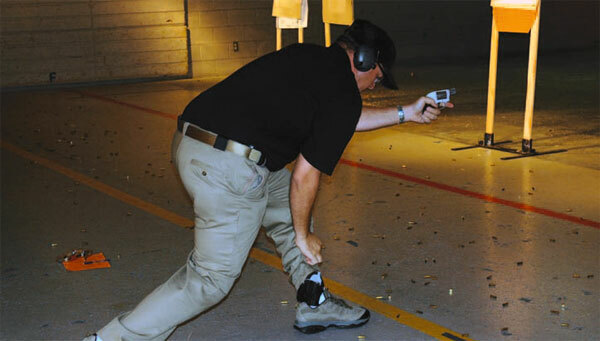 Now, a relatively common practice is to carry a more powerful handgun than you would otherwise. This is the domain of the magnum revolvers, though they'll let the 10mm hang around with them from time to time. Only problem there is that bear spray is more effective. A grizzly or black bear, no longer possessed of any goodwill towards anyone, is probably not going to be deterred by that 9mm compact, unless you land the shot perfectly and we're talking threading it through an eye. A good deal of guides don't go out with anything less than a .375 H&H as a brush gun. So really, you'll get more out of a handgun if you use it on a two-legged threat, so why stop concealing? Totally up to you, so choose at your leisure. But What If I'm In A National Park? Going to enjoy the out of doors in a national park? Awesome! Please do - a great deal of effort was expended to create our national park system and what precious few wilderness areas remain deserve protection and good stewardship. After all, they aren't making them anymore. But what about carrying if engaging in a backcountry trek through a national forest or national park? Can you still carry your backup gun there? Good news! 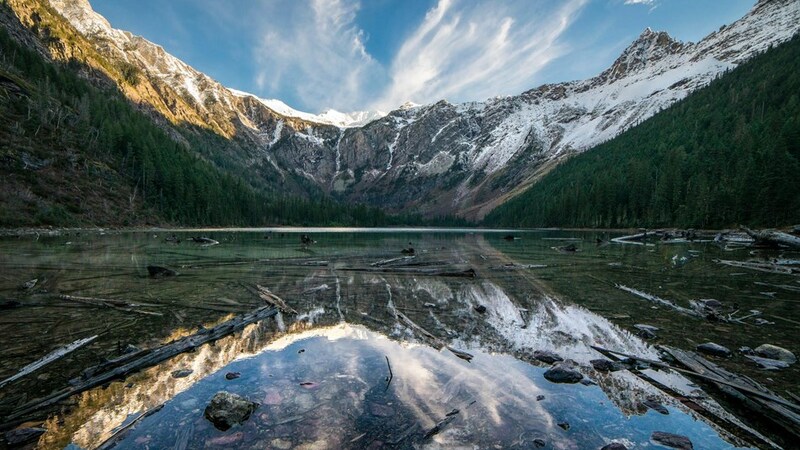 Federal law provides that national parks and national forests fall under the jurisdiction of the state it resides in, with certain exceptions. In other words, if the state you're in allows for permitless carry in the outdoors, you get to carry without a permit in the out of doors if you're engaged in a lawful outdoor activity. However, ranger stations, other buildings and so on in federal lands are considered federal buildings. Therefore, no carry is allowed for anyone other than authorized federal employees. That said, you can otherwise carry on. While carrying a backup gun while hunting is certain a common enough thing, another thing to be aware of is the legality of the coup de grâce. Some people carry a backup handgun in case they have to perform this function though possibly with other reasons such as personal protection from people or bears. This is another item that involves the legality of the act in question. Some states allow it, some do not. Typically, the rule is that the weapon you make the first hit with is the one you make the last hit with. Obviously, this isn't a concern if handgun hunting. That said, make sure you are aware of the regulations of your state of residence and/or the state you hunt in. 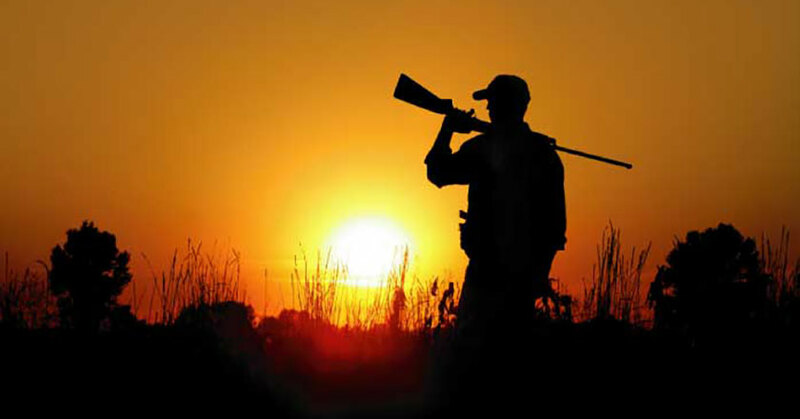 This isn't necessarily the most common practice, and many hunters consider it unethical. You'll have to figure that out for yourself.